The Indian telecommunications company popularly called ACT Fibernet, which is incorporated as Atria Convergence Technologies Limited has just filed a draft prospectus with Securities and Exchange Board of India (SEBI) for the Initial Public Offer (IPO). Incorporated on June 16, 2000, at Bengaluru, is the twelfth largest internet service provider in India as of March 2016. ACT is the 3rd largest ISP in India with over 1.22 million subscribers. Fixed or wired broadband services in 12 cities across South India (except Kerala) and Delhi. ACT was founded by Sunder Raju in Bengaluru in the year 2000. Later in 2008, India Value Fund Advisors (IVFA), which is a private equity fund, acquired a majority stake in the company. In the year 2009, the company acquired Beam Telecom Pvt. Ltd for an undisclosed sum. In the year 2014, ACT increased its stake to 20% in Beam Telecom Pvt. Ltd., which the total stake now stood at 80%. 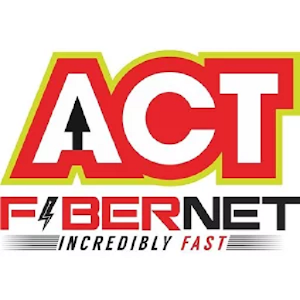 In June 2014, ACT Broadband was rebranded to ACT Fibernet. The promoter will be selling 10,351,076 Equity Shares under Offer For Sale. Face Value is set at Rs 10 per share. The company debt on books for the period till 30 September 2017 stood at Rs 500 crores. The revenue from the operations for the period till September 2017 was Rs 6,328.69. For FY17 and FY16, the revenue was Rs 11,319 and Rs 8,033 respectively. The profit after tax (PAT) for the period till September 2017 stood at Rs 1,003 crores. For FY17 and FY16, the PAT was seen at Rs 1505 crores and Rs 854 crores respectively. The Earnings per share (EPS) for the period till 30 September 2017 is calculated to be Rs 18.94 and for FY17 and FY16, the EPS stood at Rs 28.41 and Rs 17.77 respectively.